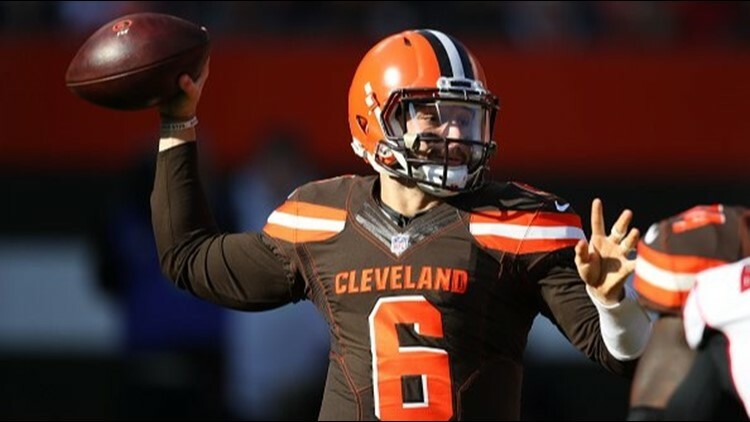 Appearing on Barstool Sports' 'Pardon My Take' podcast, Baker Mayfield discussed what he's hoping to see in the next head coach of the Cleveland Browns. CLEVELAND -- If you were looking for a headline to take away from Baker Mayfield's appearance on Barstool Sports' "Pardon My Take" podcast on Wednesday, it came around the 55-minute mark of the 100-minute episode. Discussing the Cleveland Browns' upcoming coaching search, the reigning No. 1 overall pick admitted he wouldn't mind seeing his team hire a play-caller whose offensive system is similar to the one he ran during his storied college career. "Obviously, the easiest answer would be, yeah, I'd love to run the offense I did at Oklahoma," Mayfield said. "And that's because I had three years to do it and I got so comfortable in it." To be fair, Mayfield's answer didn't stop there. "I think whatever we decide to do, I need to relate those schemes that I've learned over time and just do what we're best at. I've always believed that it doesn't matter what we're doing as long as I'm making the guys around me better, that's truly what it's all about," he said. "If I can get the playmakers making plays and get the ball out and make it easy on our offensive line, I think that's the most important part. So however we do that, to make the guys around me better, that's the best option." "Just so you know, we're just going to take the first part of that of that answer where you said, 'I would love to run the offense we ran at Oklahoma,'" PMT co-host Dan 'Big Cat' Katz joked. In all seriousness, Mayfield's preference is worth noting. 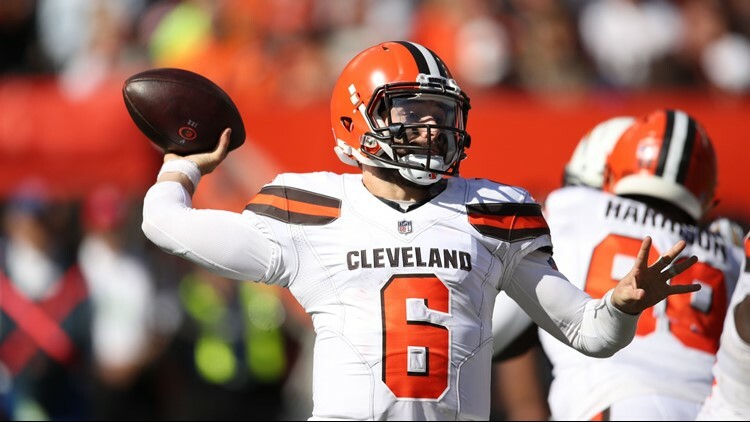 Considering how much the Browns have invested in what they believe is their franchise quarterback, any decision as big as a head coach hire will undoubtedly be made with Mayfield's development in mind. Even before the Browns fired head coach Hue Jackson and offensive coordinator Todd Haley two weeks ago, Oklahoma head coach Lincoln Riley had been rumored as a potential candidate for the job, primarily due to his ties to Mayfield. Most other rumored candidates have included current NFL offensive coordinators, or offensive-minded head coaches either at the college level or not currently occupying a sideline. For his part, Mayfield wasn't willing to offer a hearty endorsement of what his team shouldn't or shouldn't do this coming offseason. But make no mistake: he is far from naive when it comes to the realities of Cleveland's upcoming search. "I think he'll handle that," Mayfield said of Dorsey's role in the hiring. "I think he knows me well enough to kind of understand what I like. But it's not about me, it's about this whole franchise. Whatever they do, whatever decision they make, I'm going to roll with it, just like I have been since I got here."